Yes, you can reassign a Task as many times as you want. Click on the current assignee’s avatar, and choose “Assign to colleague”. Alternatively, open the item to expand the assignment panel and click on the current assignee’s name. You can then choose the new team member you want to assign the item to. 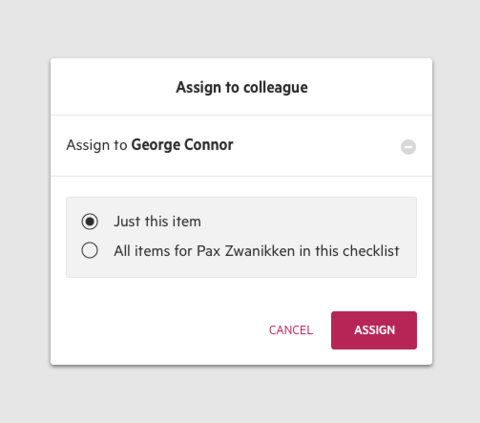 If you have more than one Task assigned to the original team member, you’ll be given an option to reassign all those items in the Task section.